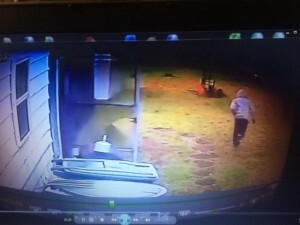 This week Crime Stoppers needs your help identifying a burglar. On January 21, 2016, at approximately 09:05am, a black male attempted to burglarize a home in the 1800 block of May St. The home owner’s son was asleep in the residence but woke up when he heard the suspect making noise. The suspect fled the scene on foot and was last seen running east of the residence. The suspect was captured on video surveillance. He was wearing a grey hoodie, with the hood draped over his head. He wore dark pants, and had gloves on. 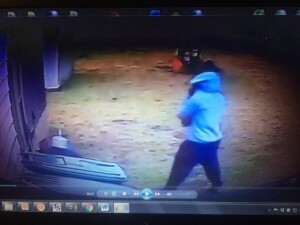 If you have any information about the burglar’s identity, contact Crime Stoppers at 409-833-TIPS. All tips are anonymous and you could be eligible for a cash reward of up to $1000.